Are you or a loved one suffering from a drug addiction? We understand that battling an addiction to drugs can be life-threatening and distressing for everyone involved. At Linwood House, we care! We know that getting to the physiological root of the addiction is the key to long-term success. Contact us today about the benefits of private drug rehabilitation. Admission can be organised within 24 hours, Monday to Sunday. Call us in confidence on or 24/7 Admission line on 01226 422 545 We're here to help! Drug detoxification is the first crucial step of any addiction program. Sometimes, the detoxification process alone isn't enough. Each patient has their own unique experiences and set of personal circumstances. Without addressing the psychology aspect of any drug addiction, the user is more than likely to relapse and return to their old habits. A drug relapse is a heart-breaking experience, not only for the immediate family members but everyone who's supporting the patient. We understand the road to recovery will be challenging. This process requires time, dedication and the help of a strong, encouraging support system. We never give up on our patients and we’re always here to help. Our residential drug rehab facility will give you a much stronger chance of overcoming drug addiction. For more information on admissions, please call 01226 422 545 in confidence, we are open 24/7. What happens in Residential Drug Rehab? Step One: Drug Withdrawal Process (sometimes referred to as Drug Detoxification). This process is required to withdraw any addiction from the body. Once the drug withdrawal process is complete, and the patient is in the correct state of mind, the drug rehabilitation process can start. Each patient will have their own set of personal circumstances and situations that have triggered the cause of their addiction. In drug rehabilitation, we will discover these causes and explore the reasons and triggers behind them. Each day that you are drug rehab, you will attend up to two therapy sessions including one-to-one therapy and group therapy. At Linwood House, we know that the path to recovery will have its challenges. In our private in-patient facility, you will be placed in an environment that's dedicated to getting better, free from distraction and temptation. However, when you leave Linwood House, getting the right support is even more critical. We realise that fighting an addiction is a journey that must be taken one day at a time. We offer all patients that have stayed at Linwood House for three weeks or more, access to our free aftercare workshops. Our patients find these workshops extremely beneficial, as it helps to keep them on right track for long-term recovery. Residents have the opportunity to attend fortnightly Narcotics Anonymous (NA) meeting at Linwood and travel to weekly NA meetings in Sheffield during their rehab stay. Linwood House staff will transport individuals to these meetings providing additional support and an introduction to NA that can continue once their stay at Linwood House is complete. We also have regular on-site AA meetings at Linwood House. Commonly Asked Question: Is residential drug rehab available on the NHS? Sadly, there's no such thing as "free drug rehabilitation". With local authorities’ budgets feeling the squeeze, it is only in very rare cases and under the most severe circumstances that funded can be granted. It can take a great deal of time to even qualify for this unique type of funding. Residential or inpatient rehab is a self-funded treatment. Some individuals will pay for the treatment themselves, or sometimes a partner, family member or relative will assist. To discuss the possibilities of private drug rehabilitation treatment, please call 01226 422 545, we are open 24 hours a day. 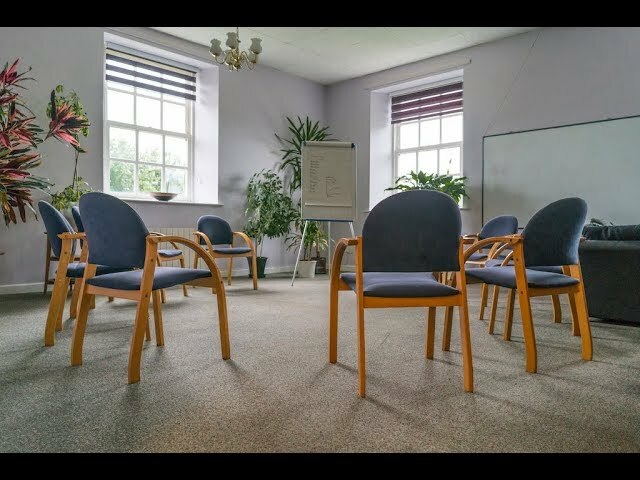 The benefits of choosing Linwood House for Private Drug Rehabilitation Treatment? With private residential rehab, you can get admitted quickly and start your road to recovery. Call us on 01226 422 545 for more information on our admission process. If you are trying to withdraw from cocaine or heroin, it is safer to have a team of dedicated specialists to help you. For untrained individuals, such as family members, they will feel more comfortable with the help of a professional. Someone withdrawing from drugs can offer unpredictable symptoms and this can be a potentially dangerous environment for your loved ones. At Linwood House, we have professionals who know how to deal with the side-effects of drug withdrawal in safe and personal manner. You'll be in the company of others overcoming their drug addiction problems. At our drug rehab centre, you're not the only one trying to overcome an addiction. There will be other patients that are trying to reach the same goal. Since 2006, we've helped people from all walks of life to change their lives. If you’re in a 50-mile radius of Linwood House, we will pick you up. We take the hassle out of transportation for patients within 50 miles of Linwood House. Are you worried that you or a loved one may be suffering from an drug addiction and requires professional support? Call us on 01226 422 545 for a confidential discussion with our team of specialists. We’re open 24/7.